Parabiosis has a sketchy history, but that's not stopping Peter Thiel from believing in its potential. Silicon Valley has cemented its place as a disruptor in various fields, but its most revolutionary experiment is happening right under our noses with a modern-day quest for the fountain of youth. 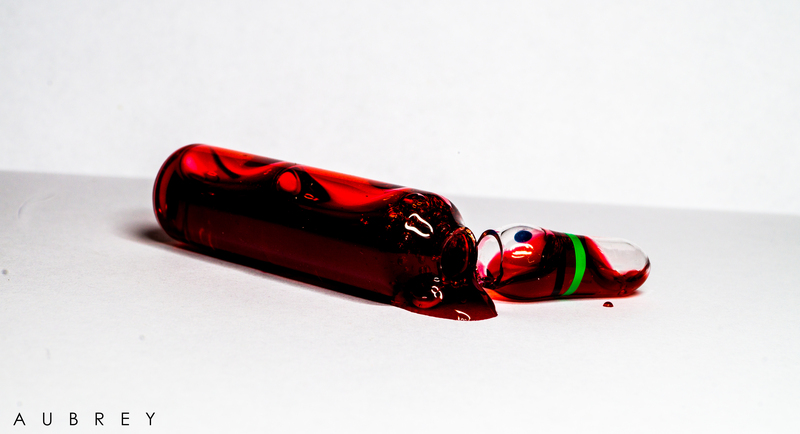 It’s weird, but the fountain of youth might be filled with the blood of the young. As a New Yorker article on tech’s quest for immortality highlights, venture capitalists and scientists have centered their focus on parabiosis, a process that boils down to a blood transfusion from a young person to an older person. The theory is radically simple: Young blood has stronger, more vibrant, more active cells, while older blood has tired ones that aren’t as capable or fresh. Take the young blood, pour it into an older human, and the latter should see a spring in their step, an extra beat in their hearts, and — hopefully — a delay in the eventual aging of their body. Parabiosis, however, isn’t technically real — at least, in the literal sense. The word is derived from the Latin for “living beside,” a sort of symbiosis that morphs two different bodies together. In 1924, the physician and Bolshevik Alexander Bogdanov began young-blood transfusions, and a fellow-revolutionary wrote that he “seems to have become seven, no, ten years younger.” Then Bogdanov injected himself with blood from a student who had both malaria and tuberculosis, and died. Bogdanov’s death effectively killed off any further research into parabiosis and was forgotten until the 1950s, when Cornell University researchers conducted crude experiments with rats and their circulatory systems. Surprisingly, the study offered a glimmer of hope: older rats revived their decaying cartilage, rejuvenating them to youthful levels. That experiment, too, fizzled and remained simply a weird biological quirk until 2004, when Thomas Rando at Stanford University stumbled on a fact that was the opposite of aging theory. Before, it was assumed that older tissue had fewer stem cells compared to their younger counterparts, and that that drove aging. But Rando’s research showed that older tissue seemed to contain the same amount of stem cells as younger tissue. Rando turned to the 1950s parabiosis experiments, and swapped the blood of young and old mice. After five weeks, Rando found an astonishing reversal: The younger mice had started aging, their stem cells lagging and their muscles dragging. The older mice, however, were hyped up on new cells that made their livers youthful, their hearts stronger, and practically reversed aging. Parabiosis, all of a sudden, was something that potentially held the key to eternal youth, and noted Silicon Valley venture capitalist/immortality obsessive Peter Thiel noticed. But that’s where the problems actually begin: Not only are blood transfusions notoriously risky medical business, but the science of swapping blood is fuzzy at best. Tricking the body into rapid cell multiplication like that of these experiments can lead to cancer, and the transaction of blood from one individual to another is notoriously dangerous, with some bodies outright rejecting this new blood. At best, a person could get sick. At worst, they’re dead. The risks and muddled science of parabiosis, however, haven’t stopped Silicon Valley from waging war against death. Its rise in popularity correlates with the meteoric rise of Thiel, notorious disbeliever of death and parabiosis champion, who once told Inc that he found parabiosis “really interesting.” “Why is everyone else so indifferent about their immortality?” he wondered aloud to the New York Times’ Maureen Dowd. He might be wrong on that — and much of the credit goes to Thiel’s relentless pursuit to chase what he views as a personal mission to not just live longer, but to be immortal. He’s singlehandedly brought parabiosis into the popular lingo thanks to his seemingly bottomless well of cash, funneling funds into obscure Silicon Valley bio-startups that focus entirely on not repeating Bogdanov’s deadly mistake and ensuring Thiel his dream of being an eternal vampire. An October 2016 Inc article linked Thiel to the biotech firm Ambrosia, which was seeking federal approval to conduct clinical trials of parabiosis using donor plasma from people 25 and under. For now, it’s safe to say that Thiel’s status as trusted advisor to the Trump administration guarantee that parabiosis research will move forward. It’s hard to say whether his obsession with youth will make parabiosis a scientific reality. But we’re closer than ever before to a future where we might stop by a clinic, juice up on young blood, and walk out with no expiration date.